Address: 12, Kouklensko Shousse Str. 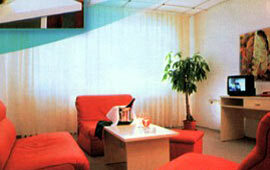 The Rodopi hotel welcomes its first guests in December 1999. 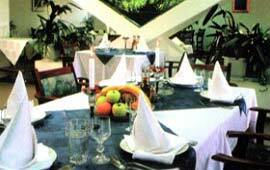 It has become a favourite place for many citizens and guests of the city. 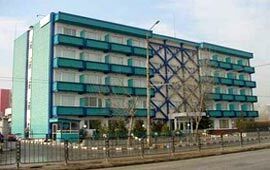 The hotel offers comfortable and exquisite atmosphere, cleanliness and professional service. 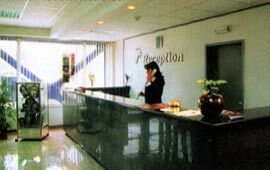 The hotel offers accommodation in 20 single, 40 double, 2 triple rooms and 6 luxury suites. 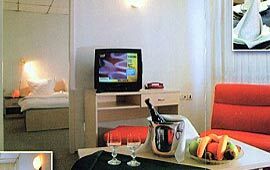 All the rooms are equipped with colour TV for satellite television, mini-bar, telephone and air-conditioner. 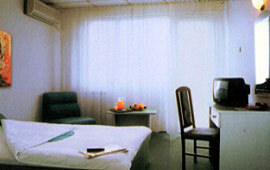 In some of the rooms there is opportunity for Internet access. Conference hall for 50 seats. 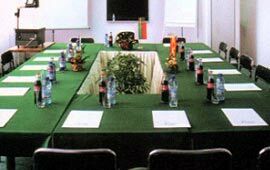 Supplied with flip-chart, shreib-projector and blackboard.